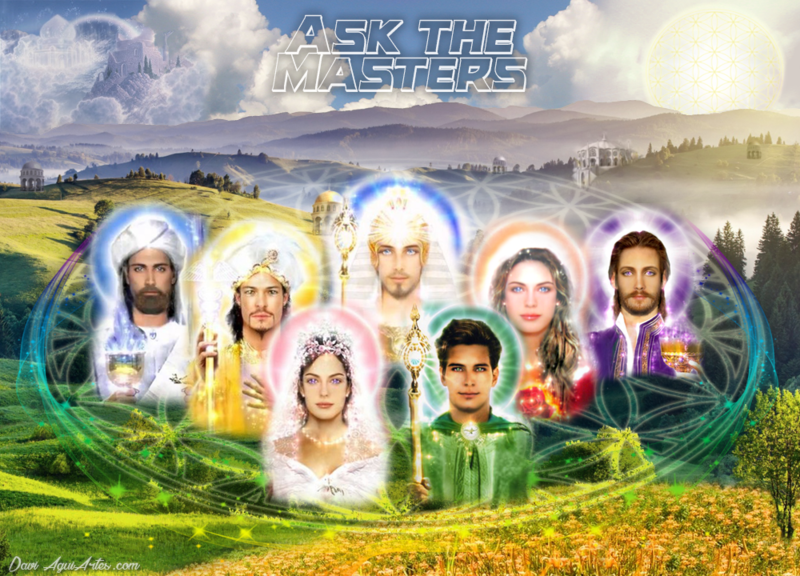 Beloved Masters, grateful for all the assistance and help you have rendered me since my existence. Once again I appeal to you with a request for help. My professional life has always been very difficult, since I left a job that I loved very much, where I was a victim of magic and the occult forces of evil not only messed up not only my professional life but also my social and personal life, In no job, all the jobs I've been through have always been a burden to me, I've never been able to achieve anything. Moreover, I did not have the opportunity to work in large companies that use integrated systems that are fundamental these days and because of lack of resources I could not specialize in my profession or study another language to have a differential. In 2015, dissatisfaction with my professional and personal life made me quit one more job, sold all the furniture in the house and went back to my hometown to take the time and try to make a new life. Sometimes I think that all the effort I did to do my college was in vain, I dedicated myself body and soul, I studied all the free time I had and I suffered several deprivations. I had to stop the course for 2 years because I could not afford to get another job that paid me better so that I could afford the expenses of the course and support myself, but I deprived myself of many things to achieve my goal. I know that all this was a great learning and that I am responsible for this situation of unemployment, at the moment I am out of money and the only good I have is my car, and if not to get a new job I will have to sell to be able to support myself. Please, I need your help to define another path for my professional life and for my personal life, I am a lonely person, I have no one to support me, I only tell you my beloved ones. I have been trying to meditate to find the answers that are inside me, but I can not be silent, please help me! Daughter. Muting the mind is the first step in finding the right path to life. You can not silence because you are stuck in the feeling of anguish and dissatisfaction with life. He lost the feeling of gratitude and humility. Great beings of light vibrate subtly and are drawn energetically by the love of the heart, detached from the ego and the will. Therefore, if you have attracted inferior beings and accuse them of being guilty of the mistakes of your life, realize that it is these energies that draw your heart away from gratitude and love for what your life offers you. You are not unique. Every effort he made to graduate and prepare for a profession was fueled by expectations. While forgetting that you had numerous opportunities and yet did not remember the feeling of gratitude, just looking forward wanting more for your life in terms of achievements of matter and not spiritual. You now have a new opportunity to stop and look at everything that has happened. Realizing this time all the learning that he got in this walk and remembering why he is inserted in this incarnational experience. The purpose of the being on the planet. Therefore, as long as you do not give up the anguish, the bitterness and the ingratitude with life, nothing will improve. A sense of gratitude for the experiences lived with humility brings more experiences this time higher, and thus, with the feeling of gratitude for the opportunities you had in life, will bring more opportunities. Your tormentors came to teach you to get out of the tuning of the ego, and you forgot to thank them for putting you on the path of humility. Follow in peace daughter. HOW TO DOMINATE THE EGO AND BE MORE CALM? Good morning Teachers, guides and angels, I am immensely happy to be able to communicate with you, I am infinitely grateful to feel loved and welcomed, I have much to thank for never leaving me alone and for feeling safe in their presence. Masters I believe that I am having my awakening, because I feel the change within me. Many of the things that made me desperate or terribly tormented and frightened, today after the readings and prayers I feel that they do not affect me any more, I struggle daily to detach myself from the ego, I often fail, but I know that I can count on the love and peace that are around me. Masters and beloved Jesus, I have seen signs, reminded of special dreams I have had throughout life, manifestations of clouds in the sky, I feel a light around me, as at this very moment I write to you, I wonder if these manifestations and dreams are Even signs and not manifestations invented by my head, by the thirst for knowledge and curiosity. From childhood I had dreams that my reality on earth would not be able to imagine or create, like seeing Jesus and his angels, traveling on a beautiful ship through the skies, seeing a comet close up, clouds that dance in the sky and dissipate like smoke. Every day more I have had a huge desire to visit the heavens to see the universe from the outside in. Sometimes I miss a place I do not know. In the last few days I have woken up with the feeling that I learned something very important at night and that I should not forget when I wake up. But I just can not remember dreams and teachings. How can I work this out? What can I do to remind myself of my dreams? I want to be an instrument of help in this plan, I want to fulfill my mission in this world. I have had many difficulties in dealing with my relationship, I can not control my ego in some moments and I end up hurting my beloved husband with words, I can not understand our difficult relationship, and the constant fights, for absolutely nothing. Today financial issues and the lack of a home and property no longer affect me as much, because I just want to feel love, true love. I'm willing to give myself more. My awakening has caused me to lose my will for many things in this world. I'd like to know how to deal with this situation, I know I have to work it out inside myself, but it has not been easy. Beloved Masters, what can I do? In my heart I know what to do, but I would like advice or a lesson in love. I want to be more meek and humble in heart and an instrument of love and peace. Gratitude Masters, for all your love. Daughter. May the blessings of love radiate in your body mind and heart. The mansuetude, my beautiful daughter, is something to be conquered in the midst of earthly experiences, and which I come to teach you. Through my energy, involving you in this moment, and having involved you countless times, you can feel the meekness in you, and work to maintain that state by clearing the craving that exists within you to make things happen according to what you desire. Realize my dear daughter, that is precisely the will, the ego, the personality, that causes you to distance yourself from the state of mansuetude. For this state is that of total detachment from expectations in life, it is the state of accepting everything and everyone, as they are. It is simply to radiate love within yourself, and that will nourish your calm and inner peace in all situations. My beloved daughter will call me when you feel a small ego sign trying to manifest, stop for a moment silencing the mind, withdraw for a moment from the environment where you are and receive my light, silence the heart and then return to the state of Mansuetude again. This process is natural and is part of the experience as incarnate my daughter, because it is involved in energy contrary to the state of mansuetude all the time on the planet. But realize that your quest is to overcome these influences and maintain your state of peace in the midst of life in matter, not escape from earthly experience. Therefore it is not remembered what happens when in unfolding, and therefore nourishes in you an even greater disconnect with your material life, which further hinders this inner quest for mansuetude and ego liberation. When you are in balance, you will no longer remember if it is not to contribute something to your walk here. What happens my dear, is that you remain in connection with various dimensions and is not yet able to align the information, due to this imbalance, which will reduce in time, if you continue the quest for silence and meekness as inserted in your earthly experiences . So is my daughter and so will your walk and that of as many as you, all involved in my love of mother. WHY DO MY PATIENTS VOTE DURING THERAPEUTIC TREATMENT? Son, I am Lord Maitreya. When we offer ourselves to the service of the other as instruments of the transmission of love and healing, of the possibility of regeneration of the being, we must first of all understand our place in this process. You are involved in various forms of work simultaneously, and that are conflicting with each other. It channels energies to a particular end in your physical body as well as channels different energies to promote healing through therapy. When we give ourselves to work in an integral way, we establish a goal and a unique route of elevation, and then we donate in full awareness to the chosen work. If you choose to be working with healing and with this line of lightworkers, do not get involved with other energies, which can hinder your attendance. I do not say here that energies are good or bad, but I just say that the responsibility of the therapist is first, to remain clean so that it is a perfect channel of transmission of the energies to the other being, without transmitting his personal vibrations of diverse encounters in other aspects Of spiritual work. Choose the path you have next. Look inside yourself for the answer, for it is up to you alone to decide which connections you wish to pursue on your journey and to which you wish to break. As long as you are involved in various means of spiritual work, you will be without a definite path and allowing diverse energies to interfere with the attendance, which is detrimental to patients as they enter into an internal imbalance. You are a being of light, you are here to convey goodness and love, healing, but for this you need to detach yourself from some bonds that you have established only as part of a process that is now no longer necessary. Establish contact with your higher self and ask the Source to be shown to you which are the links you have established and are interfering with your care, and decide when you are prepared, which way to go. 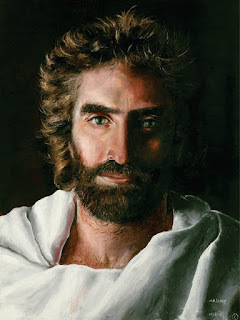 Be enveloped in the Christic light and the peace of my energy. HOW TO HELP MY DAUGHTER? Good Morning. My daughter was diagnosed with depression. How can I help you? I thank you! Greetings my brother. Today I come to bring you a little hope in the heart. To radiate with the flame of faith and power. I am El Morya, and for a long period of one of my lives I went through similar difficulty. But in the case there was a deep sadness in my heart that I just could not control. I saw myself in the darkest moment of my existence and that was my truth. There was no other in my heart. But gradually, from this stage of deep pain, I was rebalancing myself, putting myself in an interior adjustment. And I did it when I realized there was nothing to replace my inner strength. When I realized that nobody could help me, but myself. I found strength I did not even know existed. But it was I had to search, there was no way to look for something other than myself. For a father it is painful to see a daughter, a loved one who loves to go through a situation like that. But your daughter will have to find the strength within herself. The way you can help her and stay by her side, but without getting involved in her pain. You must radiate your strength to her, show that you are strong. For if showing sadness by the situation will only help to aggravate the picture. From her strength she will discover hers. He must always be haughty beside her, humorous, and with positive comments. You must remain in that trust, without involvement, so that it has the example of strength and so withdraw from within the ability to radiate love for oneself. Remember my brother, she feels your vibration. If you allow yourself to be overwhelmed by her pain, you are hurting her. Now is the time to show your strength and faith in life. Be in that trust. AM I ON THE PATH OF MY ASCENSION? Good morning, masters. Thank you in advance for all the help you have given us. Masters, I am in a phase of my life that in some moments I do not know if I am in the right way to achieve my ascent. I feel let go of emotions and feelings. In 2014 I left a 10-year relationship where I have a daughter, and earlier this year I ended a relationship with a man I believed to be my soul mate. I attach a lot to the person I am involved in, and I suffer a lot with the end of the relationship. I still feel attached to this man who broke up with me this year. I dream about him very often. I even dreamed that an angel in a dream told me that he was not the best for me, but I wonder if it is not my mind trying to deceive me. I'm following my life. I have seen many number sequences, I feel something on my forehead between the eyebrows, I can not explain how it feels right. I also feel that some beliefs are changing in me. Please, Masters, am I on the way to my ascension? There are days that I feel so confident and so much love in me, as if I do not need anything else, but there are times that come a confusion of mind, making me doubt if I'm on my way to evolve spiritually. Thank you for your attention and for always being with me. My beloved daughter. Be in peace, in a deep breath, I am your brother Serapis Bey. These difficulties you faced in your relationships have a purpose, which is to make enough in and of itself. They had no mistakes, but an involvement where they were looking for something on the outside that was inside you. You entered into these relationships without the connection of the I AM, seeking the old material way. But the physical sensations you feel are just to awaken the dragon within you, when you can then understand that everything you need is stored in your heart. These energies you are receiving are unlocking old restraints, and you will then be able to observe the physical situations you experience from a new angle, that of learning and accumulating wisdom. With the energetic irradiation it receives, it will be able to confer new interpretations to the facts it describes. And then you can see how it has become stronger, and self-sufficient. But notice how it is already operating on different energetic levels, one in which it is already complete in itself, and another in which it brings up old habits. Begin to notice these energy variations, and whenever you see your energy level returning to the previous condition, seek silence, seek your own connection. Gradually you will naturally be in a condition where you will be ready for new projects and perspectives. And then you will see that a new star will come into your life, which will surprise you. Be at peace, my sister. Masters, who is honored to be able to write to you. I've followed your messages for a long time and I love you. Master, at this time I would like guidance. In my childhood and adolescence I witnessed many ugly quarrels between my parents that influenced my life for a long time. For many times I took the side of my mother, staying with her, which kept me away from my father (on another plane) and also built a link which I feel does not allow me to be happier than she was or is. I also made the professional choice guided by what my family thought was ideal for me. I feel that I have lost myself in the familiar confusion, becoming insecure in my choices and with people, even forgetting my gift. Added to this story is the fact that I spent a lot of time in my professional life to train myself and give my best and become financially independent, thinking that I might have the possibility of finding a loving partner who had as a pillar of true love. However, I find myself at 45 years of age, I have looked for various types of conventional therapies and alternatives of self-knowledge in order to recognize and heal my wounds, accept my history, overcome my sorrows, find my true gift, but observe that my life is not flowing As he wished. I have not yet built my family, I have not met my loving partner, nor had children, and I doubt my true gifts. I try every day, live the present moment, forget the past, thank the people around me and all that I have gained of self-knowledge and empowerment, but I miss the loving family in my life. Is this my learning? Was not my life planned for a date with a loving partner and children? What guidelines could the Masters give me? Thank you. Greetings daughter. For a long time he became involved in family energy bonds, to the point of abandoning his own purpose. But do not blame yourself for this, for all these restraints and pains you experienced were anchored in you through your Akashic record (DNA). When he was born in this physical body, he received from inheritance all the family history of restrictions. What he feels, therefore, is not because of the quarrels he has experienced, for this would be easily surmountable with new experiences. The restrictions it carries that are converted into deep sorrows is something more internal, at a familiar level of its soul-register. But by understanding this you will be able to free yourself and purify yourself in all your love. Incarnating in a particular family circle, you end up incorporating all the restrictions of many generations. Add to this the social pressure that becomes guilty, in feeling responsible for the liberation of all. But by giving up that guilt, by failing to feel responsible, you are not only helping yourself but helping everyone. Because energetically you are bound by a family constellation. And by giving up everything you feel you will be progressively helping to clean up everyone involved. The best remedy for a sickly family circle is abandonment. But we do not say about the material, physical, but internal abandonment of no longer feeling responsible for anyone. Just look for this inner autonomy within yourself, that you will see progress not only in yourself, but extended to all. For this, however, you will have to have the strength and conviction to deal with the emotional blackmail that will come. But with love and conscious of its purpose everything will become simpler. Be in peace.